I’m selling these plus more in my Etsy shop. I plan to do more, and redo a few from the postal label series (prints available!). They are oil markers and spray paint on 8×10 canvas, a few on canvas panels. I plan to do quite a few of these, and I’m willing to take requests. They are going for $30-$40. 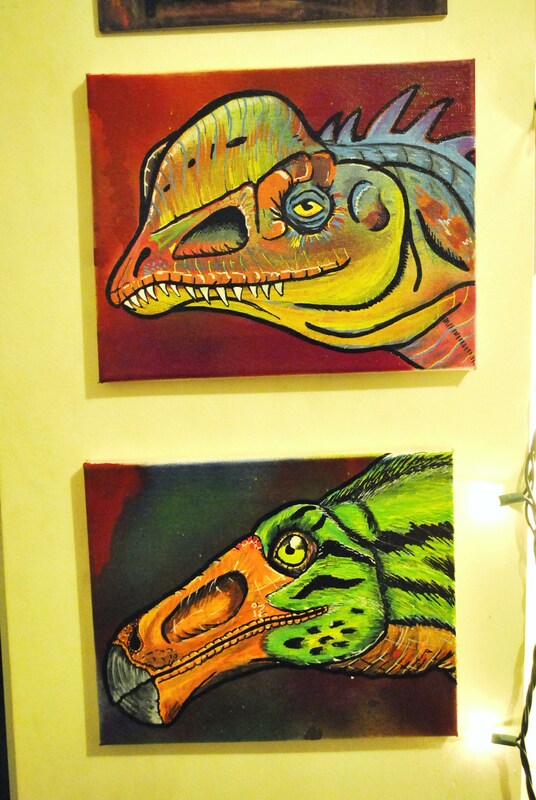 Check out my Esty shop for new dinos, or email me if there’s a certain thunder lizard you’d like to grace your walls. This entry was posted on November 3, 2011 at 5:29 pm and is filed under Misc, Paintings with tags art, artwork, dino, dinosaur, etsy, painting, prints, sale. You can follow any responses to this entry through the RSS 2.0 feed. You can leave a response, or trackback from your own site.